2 Can you make money from blogging? 2.1 How much money can you make from blogging? 3 What should my blog be about? The best method to make money blogging is called affiliate marketing. There are only a couple of solid, tried and true ways to make money from blogging. One is by having ads on your site and the other is affiliate marketing. After setting up a blog, publishing posts often, and getting visitors, you may be tempted to put ads on your site to earn some income. This is typically not the best choice and isn’t recommended early on due to the sheer amount of traffic you’ll need to generate in order to see any worthwhile earnings from ad placements. Luckily there’s affiliate marketing, a much more lucrative way to monetize your blog. Absolutely yes. Experienced bloggers do very well for themselves and are paid-out on a weekly and monthly basis. A great number of bloggers are making six-figure yearly incomes just off of one blog. Many go on to create more blogs to multiply their earning exponentially. 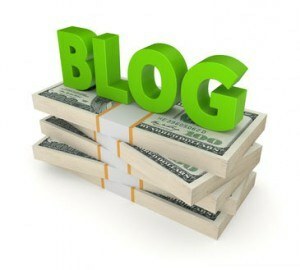 You can make a substantial amount from a blog. The quickest and best way that you can start earning money from a blog is through affiliate marketing. Most full-time bloggers make well into the high 4-figures on a monthly basis and eventually go on to earn 5-figures per month. There are bloggers making in excess of $40,000 a month. Yes, month! Now these are not typical results obviously and it does take time to do these types of numbers. The norm is anywhere from $3,000-$5,000 per month. This may not seem like a reality for you at this point, and you might be surprised at just how much bloggers are earning online, but at the same time, you probably don’t need any convincing that you can surely make a great living online through blogging. Yet it’s still nice to know what is truly possible, as far as earnings potential with your blog and just how easily you too can earn life changing money from blogging. Believe it or not, it is pretty easy to create an online income from blogging once you understand the underlying concepts and the overall process. These basic principles are all you’ll ever need actually, which we’ll be getting into a quick little summary of them shortly. This top recommended free resource (company review) makes the learning and doing process easy w/ it’s all-in-one platform. What should my blog be about? It helps if the subjects you choose to revolve your blog around are things you take pride in, or have a keen interest in. This will help motivate you to keep writing and publish posts regularly, preferably multiple times a week. Your blog should be focusing in on a sub-topic within a topic. The more you can narrow it down into a specific subject matter, the better. There’s a little concept called the ‘niche’ (market) that you should understand first. It can spell the difference between success or failure during your affiliate marketing efforts when blogging. For example, let’s say you were really good at staying organized and you wanted to start a blog and share organization tips. Organization tips is a really broad topic, so instead you’d want to drill down and cover topics such as ‘keeping your kitchen accessories organized’. It’s not the best example, but hopefully you get the idea. Note: Do not make the same mistake as most beginners do, which is to focus on promoting the ‘Make money online’ (MMO) niche. It is probably the most competitive and saturated genre, therefore you will have a very hard time ranking for keywords relating to this niche. If you are not good at writing or you do not have the time this can be outsourced as well. But I think you can write 500 words about your given interest with no problems. It is important you choose a niche that you enjoy and won’t easily get sick of writing about. We all have something, at least one thing, we are good at or know a lot about, this could be a hobby or a past job we did. Basically the knowledge that you have about a certain topic or ‘niche’, can be your starting point for finding what it is that you will help people with. Well, it all starts with helping people solve a problem and giving them the solution when they are looking for something online. This is usually information or a product. You need to put yourself in the mindset of helping people first. Ask yourself, “What will they type in Google to find what they are looking for”. The phrases that people type in Google or Yahoo are called keywords. 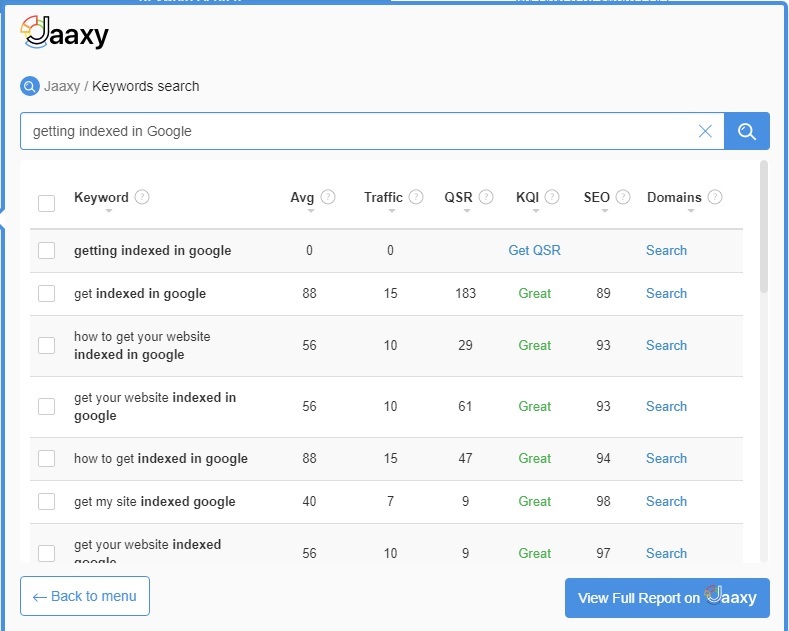 Try using my favorite keyword tool (it’s free) to find out what the popular searches are and how many people are actually typing that particular phrase into Google/Bing/Yahoo per month. If a good amount of people are typing certain keywords in, then you would consider writing a blog post with that certain phrase in the title section. You would then write in a way that helps give your reader the answers they were looking for regarding that topic. Let’s take another example. Let’s say you’re into fishing. And you know a whole lot about this subject. You know you could explain the ins and outs about fishing, even just one aspect is enough to help someone out. Say after doing your research (using the keyword tool recommended above), you find that the keyword “best fishing line for bass” gets 128 searches per month. You would write a blog post on this topic. Then you look for a certain product or service related to what you are trying to inform them about. Subtly recommend a product by inserting your affiliate link within a paragraph. For this example, you’d type in something like “fishing rods + affiliate program”. Or Amazon.com has an affiliate program called Amazon Associates which you can join and link to the product you would recommend. Affiliate programs that you join will give you your own unique links with an identifier, that is how you will eventually get paid the commission when the vendor identifies that the customer came through your link. 1. What are your interests and hobbies? For you to do research and consistently write about a niche, you need to have a certain level of interest in it, or dare I say a passion for that specific topic. Take a moment to seriously consider what things truly interest you. It can be something obvious, like a hobby or a current profession. Do you like to read books? Do you like visiting art museums? Do you go to a cross-fit gym? What industry do you work in? What do you know a good deal about? Now as you go about your day, make a conscious effort to identify products or services that you need or use on a regular basis (or even just on occasion). Products that you use or reading materials like books and magazines can be a great source of inspiration for ideas and topics to write about. DIY tools, pet products, etc., things that you have experience in or problems that you have solved and would be helpful to people to share. Can you think of a specific problem that you want to solve in your life that you think will also help other people? You don’t need to be an expert on the topic. Your readers can share in your journey to discover answers to your problem. Make a list of these interests and needs and narrow them down. It helps to keep in mind that you have to blog about the topic all the time. 2. What are other people’s interests and needs? To further help you zoom in on your niche, ask your friends and family what their interests and needs are. Inquire about the topics that they search about online. What products have they ordered from Amazon? What services have they availed of online? What topics do they search for on the internet? Have they tried Googling for answers to any particular problem or issue they have encountered in the past? After you’ve compiled ideas from friends and family, compare them with your first list. Are there any overlaps? Are there things someone else is interested in that aren’t on your list, but give you a spark of interest? 3. Do other people search for and buy these needs and interests online? So you know what you and people close to you are interested in. But how about the world wide web? For a niche to be profitable, there has to be a market larger than just your family and friends. An easy and very effective way to find out which among the things you are interested in will sell is by visiting online marketplaces themselves, like Amazon, eBay, ClickBank and others. For example, if “pet supplies” is on your list, search for that keyword on Amazon.com. You’ll get a lot of sub-categories (sub-niches). Explore those, read customer reviews, find out which are the best sellers. It’s not so much how often, but how consistently you add a new blog post. Google and other search engines prefer blogs that post often and regularly, when you do this they crawl your site more often increasing your ability to rank higher. If your blog is new you should be posting 2-3 blog posts a week until you atleast reach the 50 posts mark. Once you gain some traction in the search engine results pages (SERPs), you can drop it down to once a week. It’s more important to be blogging on a consistent schedule. So if its once every two weeks, thats fine but just do it in a consistent manner. Eventually posting to your blog a couple times or even once a month is enough to show the search engines your blog is active and deserving of being listed in the SERPs. The thing is, in order to see any traffic (visitors) come in organically (for free) from the search engines, your posting schedule is going to need to be consistent. It is recommended to add new content to your blog 2-3 times a week. For search engines like Google to rank your blog, they also need to trust that your content will be high quality; meaning lengthy, thorough, and original. And to gain authority in your given area of expertise, you’ll need to write naturally and not stuff your articles with the keywords you want to rank for. We’ll get into how you can appease Google later on. Include keyword in title, but try to keep your title short (~60 characters only). Mention your keyword, its synonyms and other related terms a few times in the article add use headings (H2, H3 tags). For example, “dog potty training supplies” “puppy housebreaking products”, and so on. Include at least one relevant outbound link to a related article on well-known website. If possible, also include an internal link to one of your previous posts that might be related. Longer articles have better chances of ranking high on Google, so make your article at least 1,000 – 2,500 words. Include images with keywords in the alternate text (alt tags). Install an SEO plugin like Yoast or All In One SEO in WordPress. These are just a few of the most important things you can implement to get more visitors to your blog. SEO can do wonders for your affiliate marketing blog if done right. For you to earn from your blog, you need traffic. Lots of traffic. A business establishment has a physical location that can’t be manipulated to go where the customer foot traffic is. But an online business has a virtual location on the world wide web that can be steered towards a position where customers will see it. This process of affecting the visibility of a website is called Search Engine Optimization or SEO. There are other ways to increase your site’s visibility, such as advertising on Google or Facebook, but we will focus our discussion on SEO for now. Your most important source of visitor traffic are search engines. Visitors who land on your page by finding it through a search engine are classified as organic traffic. 1/3 of the entire internet is made up of WordPress websites, also called blogs. Now to say it’s a popular blogging platform would be an understatement. It truly is the best, in order earn money with your blog because of its versatility and ability to add-on useful functions using “plugins”. These plugins will be used to track your affiliate links and ad placements. You probably found this article through a search engine and you’ll be learning the same skills to get your blog on the 1st page of Google as well. Google loves WordPress sites. People often see bloggers on social media promoting their simple blogs and wonder, can I make money blogging on WordPress too? You sure can, you’re way ahead of the game before even starting if you like to write and share your passions. What could be better than getting paid for doing what you love anyway? Plus you get to help your readers out in the process. Talk about a win, win situation. The way to look at this endeavor is to treat blogging more like a side business rather than making some quick cash here and there. WordPress has free ready-made website (blogs) templates to choose from, making design and layout a simple process. These are practically ready to go out of the box. You just need to fill them in with some content. It literally is that easy, and is kind of like writing an e-mail and attaching some pictures. Instead of clicking “send”, you click “publish”. Here’s another video showing just how easy it is to create your very own blog on WordPress. Click to watch video over @ WA Community. When was the last time you bought something online? What if I told you that you probably got to the product page from a link on someones blog. That someone inconspicuously recommended that product that you eventually ended up buying. Again, this is the art of affiliate marketing in action. Affiliate Marketing is a type of performance-based marketing in which a business rewards affiliates for each visitor or customer brought by the affiliate’s own marketing efforts. In this case our marketing effort is blogging. In short, you get paid every time you refer one of your readers to a product through a custom link given to you to place on your blog. So within your blog post, you are going to promote a relevant product by recommending it to your readers and once they click on the link and purchase through the vendor; you get paid a commission. But should you just try and promote anything you like? Will it be profitable? The quick answer is No. What’s awesome about affiliate marketing is, you don’t even need to have your own product or offer any service. There is an affiliate program for everything and anything you’re interested in. Just type “(your interest) + affiliate program” in Google (as mentioned above) and you will be amazed at how many results come up. One more example; let’s say you’re interest or hobby (something you know enough about to write a few articles on) is baseball. While you are writing about something baseball related, you would give a recommendation on a product you’ve tried, perhaps a baseball glove or cleats. The sporting goods affiliate program will have given you a link to put within this article to show people where they can by the glove or shoes you mentioned. Once your reader clicks on the link and they end up buying what you recommend you will get paid a commission. Depending on the affiliate program and the niche, you may earn anywhere between 3-5% all the way up to 50-75% in some cases. So basically within your articles (or blog posts), you will recommend certain helpful products to people and when they purchase you get a commission. Some commissions can be in the hundreds of dollars per sale depending on the product. This is the basic step by step process you’ll want to follow. What do successful bloggers all have in common – they are a part of a community of like-minded blogging professionals that are active, sharing ideas and helping one another. It is best to always have people that you can instantly ask questions whenever you are not sure how to proceed. Having a mentor in one of these communities available to give you advice and ideas is invaluable. Not only that, you will earn your first dollar much quicker, up to 10x faster. These bloggers in this community are making a killing. Click below to read their stories. Since I cannot cover all the steps here, head over to the best free online business training community and social platform to take the training courses there, they do a much better job explaining all the different ways to earn a living from blogging. They have absolutely everything you’ll ever need to create online income generating blog. It is like a big family over there (kind of like the Facebook for bloggers and online marketers), so it is a very social atmosphere. Everyone is helping each other, “liking” each other’s comments questions/answers, private messaging, chat, posting new ideas etc. But the main focus is their top notch training. I can’t emphasize enough how helpful and easy to follow the courses and live video training sessions really are. Not to mention, you get unlimited hosting and blog templates all for free just for joining. So, hopefully this was helpful in answering your question, how can you make money from blogging. From tips for absolute beginners to advanced knowledge for seasoned bloggers, WA has the most up to date information for bloggers from all walks of life. There’s no reason why you should not benefit from the wealth of knowledge that these top bloggers have accumulated, especially because it’s absolutely free to sign up (above). You’ll find everything you need to know about how to find a profitable niche. You’ll learn about the tools of the trade, and even receive assistance setting up your blog. If you have additional questions about how to make money by blogging, or affiliate marketing and Wealthy Affiliate specifically, don’t hesitate to drop me a line in the comments below. hello mr. lev trying to creat an account with your website when i finally filled up all the necessary information needed then when i click continue, it will tell me ant creat your account at the momement because your country is not supported. The free memberships for certain countries aren’t allowed because of constant fraud and spamming that unfortunately comes from these countries. You can of course join if you are from the following countries; Philippines, Vietnam, India, Pakistan, Nigeria. However, you have to commit yourself to a Premium membership. I am a member of Wealthy Affiliate and I have been online for about 10 years. I can attest that WA is one of the best platforms for learning how to earn money from blogging. It is also one of the least expensive and with the free starter program, there is no reason for folks not to try it. It does require effort though. I am now two months into building my blog. I have never made money online. How soon may I expect to receive steady traffic and make some sales? Also, most of my posts are ranking between 50 and 100 in the search engines. How long will it take for them to move up to page one of Google? Thanks for the informative post. I look forward to reading some more. Wow, great of you to stop by Devan. It’s great hearing from a newer member, as I’m sure those who read the article are interested in a beginners perspective after joining WA. As with anything worthwhile it does take work and time to learn and set-up your online business. Just like any other real business, you have to have the mindset to treat it like one and stay the course. I remember when starting out, a lot of my time was spent going over the lessons a second and third time. It depends on the amount of time you can set aside to work on your business. To be honest, if you are consistently working on it and going through the course work, I would say you should start seeing traffic after the 3-4 month mark. Things really start picking up after about 6-9 months. So even though it might seem like you are not getting results just yet, you will see the fruits of your labor. It’s all about sticking with it and getting past this initial wall (learning curve). As you start ranking for more and more keywords and adding/sharing content they will all move up in the rankings quickly. It also takes a little time for Google to recognize you. So be patient because once the flood gates open you’ll be glad you waited out the storm. I think you also nailed it on the head when you mentioned it’s free and that there’s no reason not to join. It’s not for everyone, but trying it out to see if it is for you can’t hurt and for those who are willing to put in the time…well, they’ll be rewarded handsomely. Yes, Readers, No excuses, I was once just where you are right now, thinking “Can I do that”, “Can I really make some money online?” “With blogging?”, and as you just thought: “What do I have to write about?” I thought that too. Don’t worry, I am now one of the veteran members of Wealthy Affiliate, and helping newbies, like I was helped 4 years ago, to build their appearances online on a website. I’ve made it my personal mission also to show as many people as possible that they too can make a great living with affiliate marketing through blogging. I’m currently offering free mentoring, so find me, like Loes said, message me on my profile page here, and we can take it from there. Yes, it’s not that difficult to make money blogging when you actually put in some time to learn about it. When it comes to blogging, most people probably fear of building websites or something like that. I know I was scared of that! Little did I know that you can launch your website as easy as pushing a button… Of course, succeeding at blogging is a whole different thing. It does require a lot of time and dedication, but it’s all worth it in the end! Exactly Rich, thanks for that valuable comment. It’s easy to make money from blogging once you learn a few of the steps to monetize your blog. Technology today and WordPress sites specifically are so easy to run, like you said. “As easy as pushing a button.” You might need to see it in action to believe it. 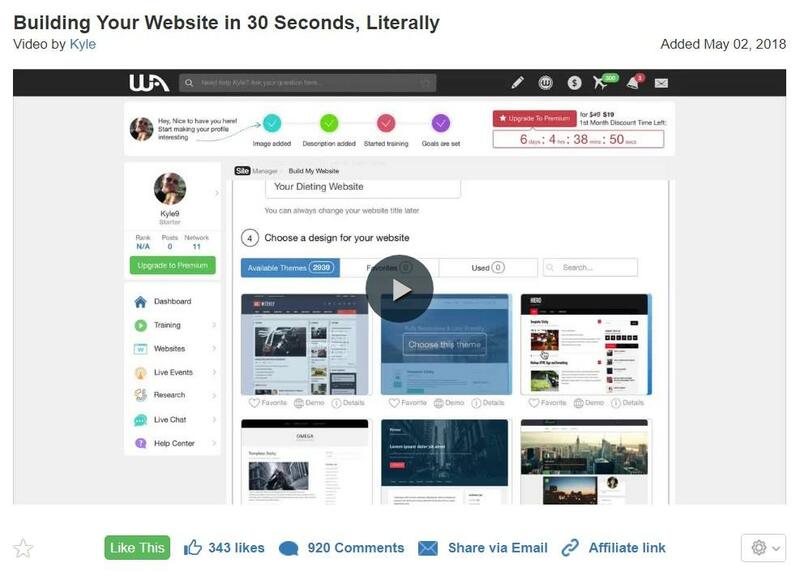 Check out this video on how to create a website in under a minute (scroll to the bottom of the article) using the free ultra slick SiteRubix platform. Great post, indicates such a different view of things as I had before, it has surely taught me a lot in terms of how to make money using a blog, I have been trying this for some time now but to no avail, I actually have began my news blog which is how I landed on your post trying to know how I can make money with it. Dave, I appreciate you spending the time to comment here and i’m also glad you got some use out of it. If you narrow down the news blog to certain types of news only and can then tie in affiliate offers related to that niche using various affiliate marketing programs/vendors, your commissions can be as high as 50%, sometimes more, depending on the offer. If you’re able to generate enough traffic eventually, over around 10k visitors per month in a specialized type of news, you can then begin also selling banner space directly on your site as secondary income stream. Wishing much continued success. Hello Lev! My brother and I are looking for a way to make money online. We tried a lot of things and we ended up not earning money with it and some of them are scams. We’re becoming more strict when trying new things online. I read your guide about on how to make money from blogging and it got my interest. I’ve been wanting to do this but I don’t know where and start. Your article is full of information and it surely helped me. I will try to share this to my brother and we will try to join wealthy affiliate to help us. That’s great to hear John! Thanks for sharing and I’m glad the article got you taking some action. 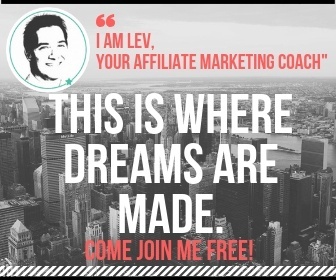 If you do end up joining for free please search for my profile page under my name ‘Lev’ and contact me there. I can mentor you guys and help get you started. Trust me, once you are part of the world-class community at WA you will no longer need to search for any other information about making money online, ever. It appears that while bloggers do make a lot of money, only about 10-15% make a lot of money. I however am not discouraged. I tell myself a lot that I have at least until I die to make this work. It is worth it however, because If I can make this work, I will probably make more money within three years then I ever would at a job. You definitely have the right attitude Jacob. Stick with it. This is not a get rich overnight thing. 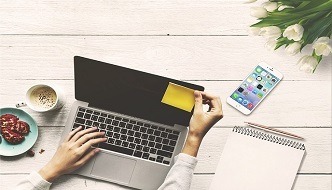 If you’re treating it just like any real business, you’d expect it takes hard work and a good amount of time to become profitable and to start earning substantial income that can really make a difference in your life. If you take it seriously, consistently work at it, you will get there. 3 years is a good time frame. I got into blogging just so I could quit my job, not to become a millionaire. Although I’m seeing that it is really possible now, because once you’re successful at one thing, you can grow it exponentially. Thank you for this post about blogging. There are days when I do wonder…tell me again: WHY am I doing this? You’ve helped me answer that Inner Skeptic very handily with your statistics! I am still building my site and working on learning about how to handle SEO and social marketing issues. The social part’s pretty straightforward word-of-mouth marketing which has been expanded exponentially, but that SEO stuff! Whoo! What a lot of brain-cracking that is! Haha…Yeah Netta I hear you. Blogging does take patience, especially as you’re building out your site. Speaking from experience, the toughest part is waiting for the search engines to take notice of you after putting in the work. To be honest it can take up to 3 months, sometimes a bit more, to start ranking for certain topics. Social media can help boost things too. But for you to get traffic quickly I suggest paid ads using Google AdWords & Bing. My only regret is to have not mastered the paid ad skills sooner. A small daily budget (min $5) can be a complete game changer. Believe me. I too have heard the same questions about blogging on Quora. It certainly seems a popular topic these days. Blogging for fun sounds, well, fun! lol. But it is pointless if it’s not a part or even a full-time income. Those blogging stats are also phenomenal, especially learning about the bloggers generating upto $10K per month. That would be some achievement! I really appreciate your help with choosing a niche market and actually getting a blog set up for my new affiliate marketing journey. And of course, many thanks for the recommendation of Wealthy Affiliate to acquire the resources I need for building a successful online business. Hey there! I found your article very interesting to read. I’m a student and planning to do blogging to earn money. I heard that wealthy affiliate is a good way to start. Even though I’m down on trying it I don’t have a lot of knowledge about it. Also I’m on a budget so money is a little bit of problem. Do you think that this is a good job for me to try? Thank you for your response. Hey John, I’m happy to hear the information was useful. You’re right, Wealthy Affiliate is by far the best place to start. In fact, its the only place I’d recommend anybody go to learn for free. And yes, absolutely try it out. Just sign-up and go through Lesson 1, watch all the how-to videos and interact with the community. Everyone is super helpful. You’ll see how easy it is to get up and running. As a student, having an additional income to offset your expenses can be a life saver. And once you feel more comfortable moving forward you can then go premium at anytime. Wishing you success! Many beginning bloggers would love to read this article. This practically answers questions regarding the ways on how a blogger can make money online and how much they can get out of their own writing compositions. This is an interesting article to read especially if one wants to know more about making money by just writing blogs and the like. The article also contains ideas about the things that one might want to blog about and it even gives tips as to how the blog can have a huge scope. Hey Chanan, I appreciate the kind words and thanks for sharing your thoughts with the rest of us. I’m glad you found this post interesting, and hopefully you are thinking about implementing some of the suggestions. 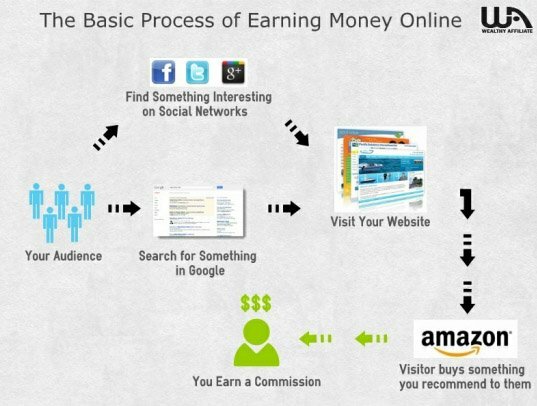 To get started learning more about creating an online presence, head on over to Wealthy Affiliate (my top recommended online community). They have the most thorough walkthrough video lessons (showing actionable steps), not to mention their world class active community with thousands of helpful members ready to help get you going. I suggest getting in there and giving it a go. Hope to see you there; you can contact me on my profile page by searching under my name, Lev. Take care. Great advice on how to make money from a blog. One of the things most wish to find out before they put their time and effort into blogging is how much can you potentially earn. You have covered this well and the potential is generally up to you. 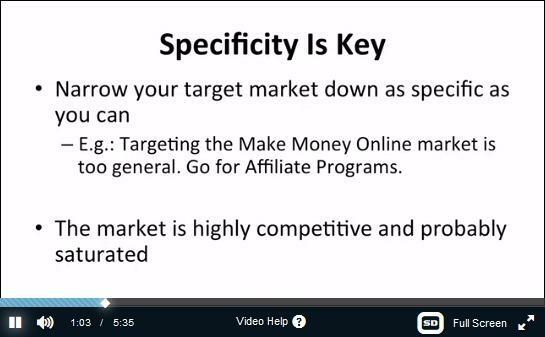 I find the Wealthy Affiliate program great to learn the basics of how to start a website and how to leverage you website to potentially make money blogging. Chris hey, thanks for stopping in and glad you got something out of the post. The sky really is the limit as far as earning online. Like anything else you just need to acquire the skill-set to set you free. It’s great that you see the tremendous value that Wealthy Affiliate really represents. It is the most comprehensive education you can get and is presented in a clear, easy to learn format with over-the-shoulder videos showing the exact steps to take. Plus the thing that really seperates them and makes it special is the unlimited help available from the community. It is incredibly invaluable when it comes to getting instant help, inspiration, and encouragement. And as you know blogs/websites are just one of the ways they teach how to create on online income aside from social media, PPC, landing pages, local marketing, ecommerce etc. Hope to see you active in the WA community. Hi there Lev, I have been blogging for a while now, focusing mainly on organic traffic but my visitors growth has been quite slow. As such, I am not making as much as I hope. I heard that paid marketing will get me more targeted audience and hence, more conversion. When do I know if I should start on PPC besides the fact that I need to allocate some money for it? Thanks. ​Hi Cathy…glad to see a fellow blogger write in. I do understand what you’re going through… not sure how often you post and on what topics but some things to consider would be posting more often (preferably weekly or twice a week) so that the search engines crawl your site on a regular basis. How much engagement (how long they stay) and comments you get on your posts is also an important factor for ranking and for gauging the demand for the type of information you are sharing. If you can afford to set aside a small monthly budget (say $50-$100), that would be great. Obviously for PPC you have to be careful and track that your ad is converting so that you’re not wasting money. This has to do with how relevant the ad copy is to the landing page, the keywords you’re targeting, and making sure the page the visitor lands on is relevant and is what they wanted to see after clicking. If they then take your desired action of clicking through over to your offer, then this is considered a conversion. There are tracking pixels for this. Great post, your correct having the right niche will make the difference. People have to be looking for what you have. Content is king and will pull the readers to you. I really like that you point people to free resources for training and not trying to sell them. Question I have is how long does it take the average person to start seeing some income? Thanks Bob, I’m glad you’re in agreement that successful bloggers provide people with similar interests the information they are seeking. It’s a simple concept, but not easy and requires some work. As you know blogging is not a get rich quick scheme. Though it can lead to great riches in time with the right approach. There are many various ways of doing this. The best teacher of these skills by far in my opinion is Wealthy Affiliate. It’s where I got my educational start online. If you have not already, you must take their free video courses. This is the best advice I can offer. Now to answer your question; personally it has taken me about three months to start earning and up to six months to start getting real traction. A small amount of time invested has resulted in an income that has allowed me to go full time at this. If I can do it anybody can. My recommendation for the average person is to get involved with the Wealthy Affiliate online community, full of successful bloggers, who are eager to help newbies because they were once like them trying to learn the ropes. Hope this helps. I really enjoyed reading your article on how can you make money from blogging. It is easy with the right guidance and education. I too used the Wealthy Affiliate educational program you mentioned in this article. And I can fully attest to the quality of training, the ease of step by step instructions and the success of the program. I’m finally making a consistent passive income with my blog and I owe my thanks to WA. Great article and and a great resource for those that want to learn to earn from blogging. 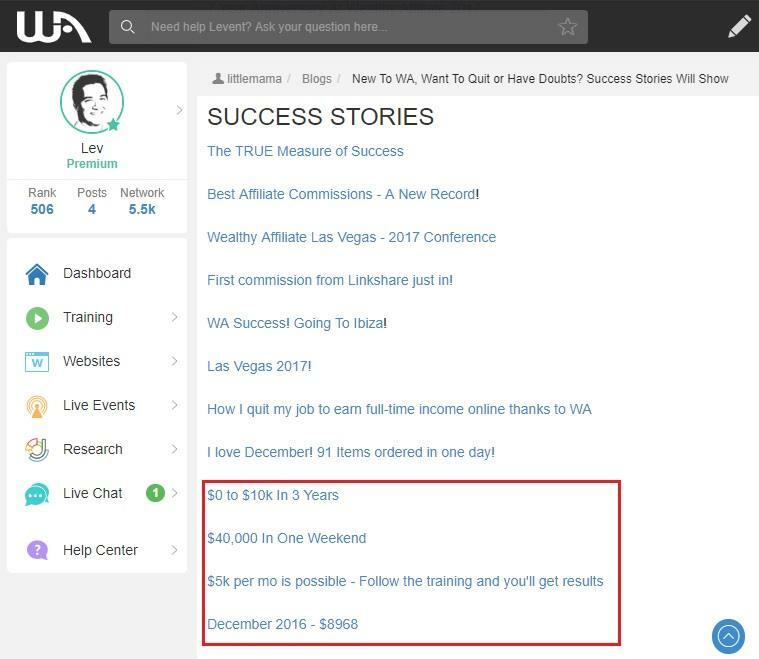 Todd again thanks for attesting to the fact that Wealthy Affiliate is the highest quality education for learning how to make money from blogging. My aim here is to help everybody else visit WA so they too can see how easy it really is to start earning an income from their blog.